Corruption, dysfunction, division and dissension are contributing to a crisis of trust. 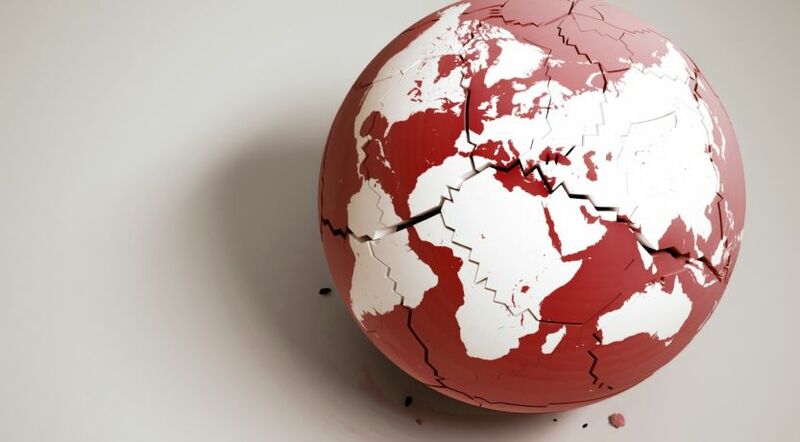 Conflicts of all types are fueling a climate of instability in the world as we begin 2019. But there is light at the end of the tunnel! On Sept. 25, United Nations Secretary-General António Guterres delivered his annual address to the UN General Assembly. His opening words reflected a worldwide malaise brought on by a sentiment of betrayal. These incisive observations accurately portray the world as it enters 2019. Many people are no longer sure what or whom they can trust. Forbes reports that the initiative is “one of the most ambitious undertakings in human history” and that it “could cost 12 times as much as what the U.S. spent on the Marshall Plan to rebuild Europe following World War II” (Frank Holmes, “China’s Belt and Road Initiative Opens Up Unprecedented Opportunities,” Sept. 4, 2018). Stratfor reports that in May 2017 leaders from 29 European and Asian countries, with representatives from 130 other nations, attended a summit in Beijing to celebrate four years of the initiative and showcase Chinese plans for the future. The main obstacle to the initiative, however, has been a lack of trust in China’s underlying motivation. Smaller countries are leery of incurring unsustainable debt and of China effectively taking control of their economies and resources. In the Pacific, China continues to alarm its neighbors by creating military installations on artificial islands in the South China Sea. Writing for The Telegraph, Neil Connor explains, “China has triggered diplomatic protests after images broadcast on state television appeared to show it had reneged on a promise not to militarise artificial islands it has built in the South China Sea” (Jan. 9, 2018). This construction is ongoing despite the Permanent Court of Arbitration in The Hague ruling in July 2016 that China’s territorial claims were spurious. China angrily refused to acknowledge the court’s jurisdiction. The rule of law erodes; leaders push boundaries. Africa is still troubled by its dysfunctional autocratic “big man” regimes. While a few African nations have transitioned to at least marginally democratic governments, most still suffer under dictators. According to PlanetRulers.com, there are currently 19 dictatorships in Africa, three times the number of nations considered “free” on the continent. Under dictatorial regimes, civil rights are not respected, corruption abounds and people live in fear of displeasing the powers that be. This writer often witnesses Africans looking around carefully before making what could be considered a comment critical of the “big man” or his government. There is almost universal distrust of anyone wearing a uniform and of all government institutions, such is the level of corruption from the top down. There is no real rule of law; the dictator’s will rules. Most nations in South and Central America are also struggling with corruption. The worst case is Venezuela, where the economy has completely imploded under a corrupt and autocratic dictatorship. According to the CIA’s World Factbook, in 2017 inflation exceeded 2,000 percent and the GDP contracted 12 percent. Venezuelans are fleeing their country en masse. According to the Council on Foreign Affairs, as many as 2 to 4 million Venezuelans have left their country. Some have migrated to Colombia, where many women, even college-educated professionals, have turned to prostitution in order to feed their families (David Brennan, “Venezuelan Women Turning to Prostitution to Survive,” Newsweek.com, Aug. 24, 2018). Brazil has elected a far-right, populist president in Jair Bolsonaro. He faces a herculean task in his avowed goal of fighting corruption in a nation slammed by scandals at all levels of business and politics. Corruption is a major problem through most of South and Central America. According to Transparency International, which ranks countries’ corruption levels from 1 (very corrupt) to 100 (very clean), only Chile, Uruguay and French Guiana are above 50. Most, including Brazil, are ranked in the 30s. The corruption and rampant crime south of the Rio Grande have impacted the U.S. through increased illegal immigration. The caravans of people from nations such as Honduras, Guatemala and El Salvador that stream north to try to claim asylum have become bones of contention in the U.S. political arena. Some want to totally abolish the Immigration and Customs Enforcement agency. On the other side are those alarmed by a perceived invasion of illegal immigrants and a loss of control of the nation’s border. This is symptomatic of a deepening and hardening divide. Americans are now being targeted by other Americans in violent attacks because of their political views. The rising acrimony underscores how much the U.S. has become a “house divided against itself,” a situation, Jesus Christ pointed out, which cannot long endure. The rising acrimony underscores how much the U.S. has become a “house divided against itself,” a situation, Jesus Christ pointed out, which cannot long endure. There is rising mistrust among fellow citizens, and some are willing to abandon long-established democratic principles in order to try to win their cause. On the international scene, the American president has announced the U.S. withdrawal from the Intermediate-Range Nuclear Forces Treaty over accusations that Russia has been routinely in violation. Europe also is facing a crisis of trust and challenges to the rule of law. British citizens signaled their distrust of the EU by voting themselves out of it in June of 2016, though how that will be implemented, by March 2019, has been a Gordian knot. Strafor reports that Vladimir Putin’s Russia has been attempting to sow division in the European Union by allying itself with populist leaders in Hungary and other countries that were in the former Soviet Bloc (Eugene Chausovsky, “How Russia Makes Power Plays in European Politics,” Oct. 11, 2018). There is more dissension within the Union. Stratfor explains, “On Oct. 15, the Italian government went to Brussels to present its budget proposals, which call for a deficit increase of 2.4 percent of gross domestic product (GDP) in 2019—significantly higher than the 0.8 percent that the European Union was expecting” (“Italy: Rome Challenges the European Union With Plan to Increase Its Budget Deficit,” Oct. 16, 2018). Rome openly challenged Brussels’ rules. Where this leads will be an indicator of the strength of the EU and whether it can continue in its present form. And Poland is being sued by the EU over charges the conservative government is trying to pack the Polish Supreme Court. Reuters reports, “‘The European Commission maintains that the Polish law on the Supreme Court is incompatible with EU law as it undermines the principle of judicial independence, including the irremovability of judges,’ the EU’s executive Commission said” (Sept. 24, 2018). Why the crisis of trust? What is the cause of the “Trust Deficit Disorder” about which Mr. Guterres spoke? It is a combination of corrosive thinking and misplaced trust. The apostle Paul warned Timothy about evil thought processes to come shortly before the return of Jesus Christ. “But know this, that in the last days perilous times will come: For men will be lovers of themselves, lovers of money, boasters, proud, blasphemers, disobedient to parents, unthankful, unholy, unloving, unforgiving, slanderers, without self-control, brutal, despisers of good, traitors, headstrong, haughty, lovers of pleasure rather than lovers of God, having a form of godliness but denying its power” (2 Timothy 3:1-5). We are seeing these attitudes rising toward a crescendo of egocentricity, cold indifference and outright violence. There is a crisis of trust because people place confidence in their own hearts, and the human heart is “deceitful above all things, and desperately wicked; who can know it?” (Jeremiah 17:9). We don’t know exactly what will happen in 2019, but corruption, scandals and conflicts made worse by lack of trust are sure to play a part. The solution would be to stop trusting in oneself and in other people, and to place trust where it is truly deserved. The Bible informs us, “He who trusts in his own heart is a fool, but whoever walks wisely will be delivered” (Proverbs 28:26). And, “It is better to trust in the LORD than to put confidence in man. It is better to trust in the LORD than to put confidence in princes” (Psalm 118:8-9). “O LORD, I will praise You; though You were angry with me, Your anger is turned away, and You comfort me. Behold, God is my salvation, I will trust and not be afraid; ‘For YAH, the LORD, is my strength and song; He also has become my salvation’” (Isaiah 12:1-2). We can have complete confidence and trust in God’s promised outcomes. Study more about end-time prophecy and the good news beyond it by downloading our free booklets The Book of Revelation: The Storm Before the Calm and The Mystery of the Kingdom.